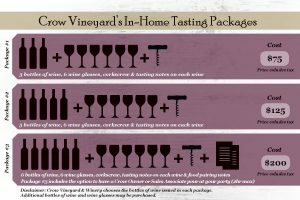 Crow Vineyard In-Home Wine Tasting Packages offer you an Authentic Crow Experience. We offer 3 unique packages to enhance your next wine tasting party, special occasion, birthday or holiday party or bridal shower. 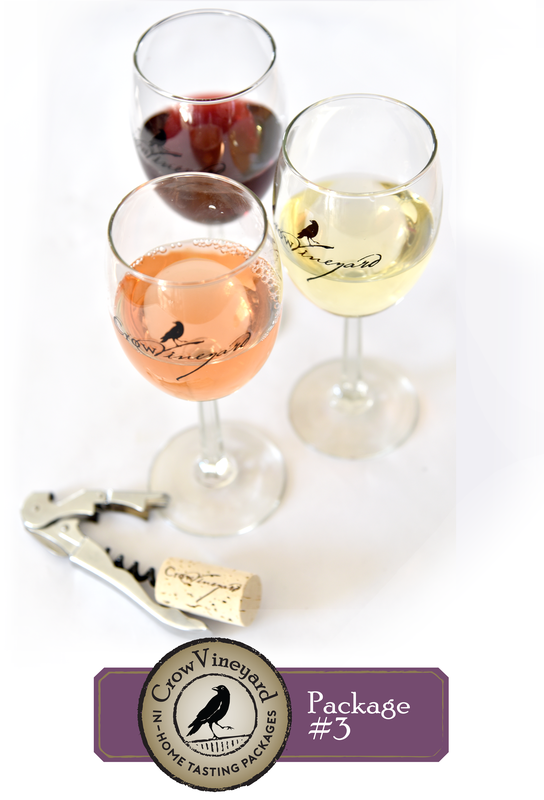 Disclaimer: Crow Vineyard & Winery chooses the bottles of wine issued in each package. Additional bottles of wine and wine glasses may be purchased.